The Largest-Ever Blu-Ray Collection. 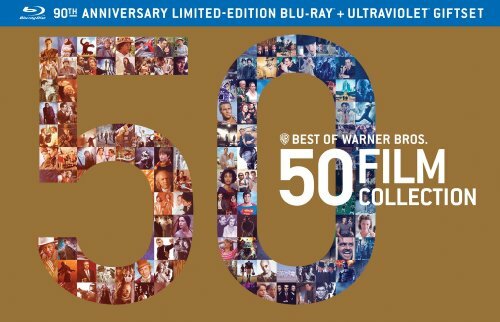 50 Movies Including 16 of Warner Bros. Library's Best Picture Winners on 52 Discs Presented in Book Style Premium Packaging. Plus two all-new documentaries: Tales from the Warner Bros. Lot and The Warner Bros. Lot Tour. With hours of commentaries behind-the-scenes featurettes and more on select films. Also includes a limited edition 27 x 40 poster plus a postcard series of Warner Bros. movie posters designed by legendary Bill Gold. Look for these movie-poster titles on DVD.